The Puget Sound shoreline is in constant flux, with wind, waves, and other forces shaping and reshaping our bluffs and beaches and moving sediment along the shoreline. It’s a natural process that ensures a healthy ecosystem for salmon, shorebirds, and other species. But if you’re a waterfront homeowner, you might be concerned about how erosion could damage your property. Fortunately, most of the Puget Sound coastline has low or moderate levels of erosion, which can be managed without losing the beach to a bulkhead or seawall. Coastal engineers have developed solutions that are attractive, affordable, and friendly to fish and wildlife. 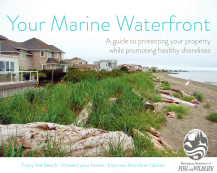 Protecting your property and Puget Sound is easier than you might think. 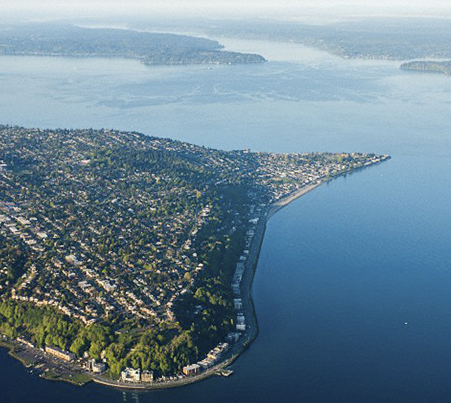 More than 25% of the Puget Sound shoreline has bulkheads or other “hard armor” instead of a natural waterfront. Much of it was erected decades ago, before the risks and ecological impact were well understood. We now know that bulkheads are unnecessary on most Puget Sound shorelines and can actually worsen overall erosion. They also damage delicate habitat that is crucial to the survival of our coastal species, from insects and seabirds to salmon and orcas. We invite you to explore this site and learn about your options. We’ll explain how your piece of Puget Sound fits into the big picture. And we’ll connect you with valuable resources, from free workshops and site assessments to grants and tax breaks for eco-friendly erosion-control measures.